The other day the doorbell rang in the early evening and the postman delivered an unexpected package – a box full of delicious goodies from Lidl, with Asian-inspired products, marking their Asian Week Offers and celebrating 10 years of business. 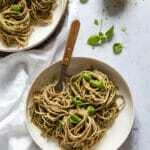 This surprise package included soba noodles and also some wasabi-spices nuts, black tea, black sesame seeds, coconut milk and coconut water. I mean, LOVE right there. Inspired by the delivery, I immediately set to work on my morning breakfast. 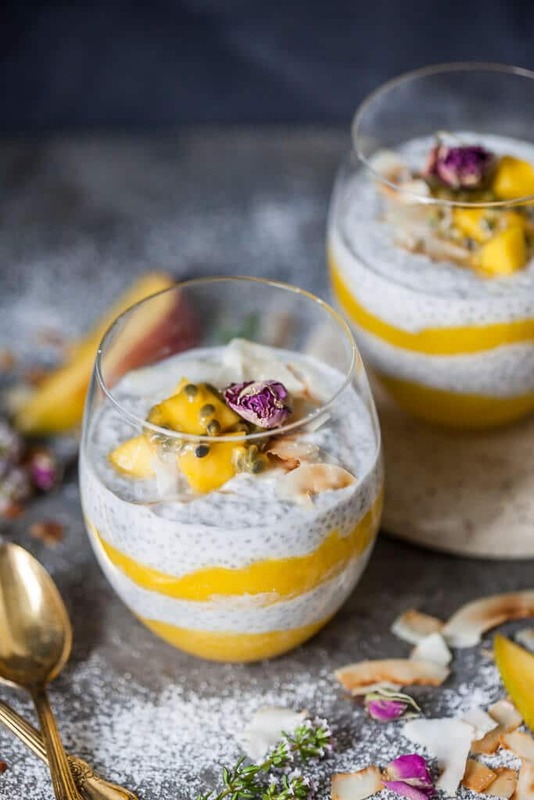 I went for a refreshing Coconut Milk Mango Chia Pudding, using coconut milk and coconut water from the Lidl package, but also some other Lidl products, that I happened to have on hand, such as a lovely mango, a passion fruit, a lime, chia seeds, of course, and an extra topping of toasted coconut flakes. I placed chia seeds in a container and added first coconut milk and coconut water. 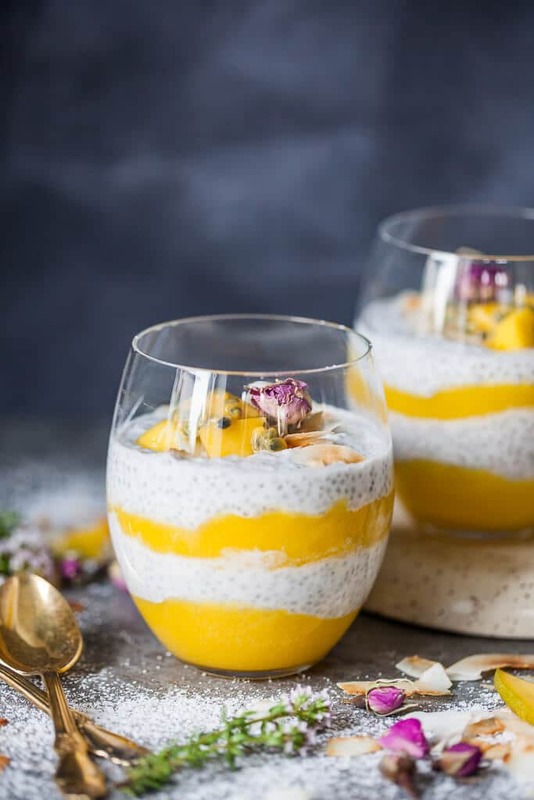 I used coconut water as well as milk, as the milk itself was a bit dense and I knew the chia seeds will need more liquid. I added a drop of vanilla extract for flavor, mixed everything well and store it in the fridge overnight to soak. Now, a word of caution. Coconut milk tends to solidify in colder temperatures. I fixed this by giving the container a light steam in the morning and it soon returned to a more liquid state. When my chia pudding returned to normal, I peeled and sliced a mango, put it in my blender and added the juice of 1 lime. 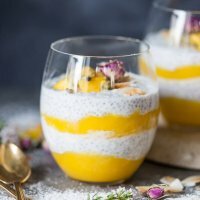 I blended until smooth and then layered the blended mango and chia pudding in glasses. 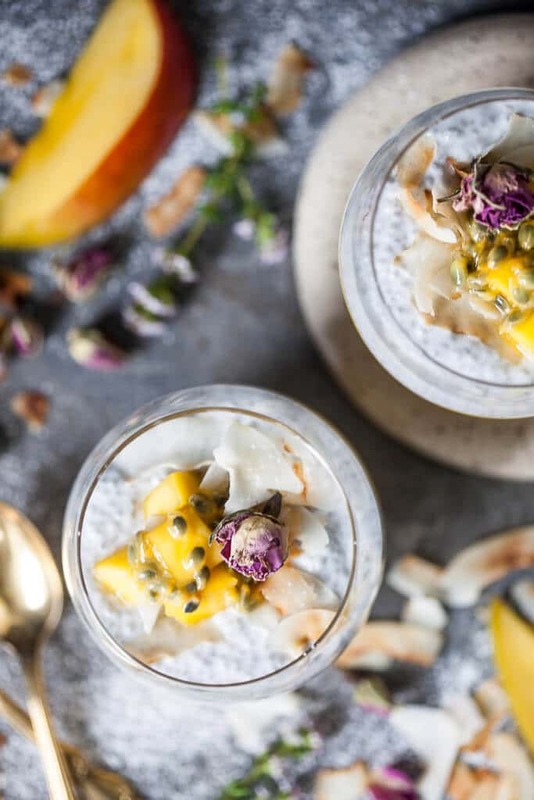 I topped it off with some saved mango chunks, some toasted coconut flakes and a teaspoon of passion fruit juice (seeds and all). Now, this is what I call breakfast! 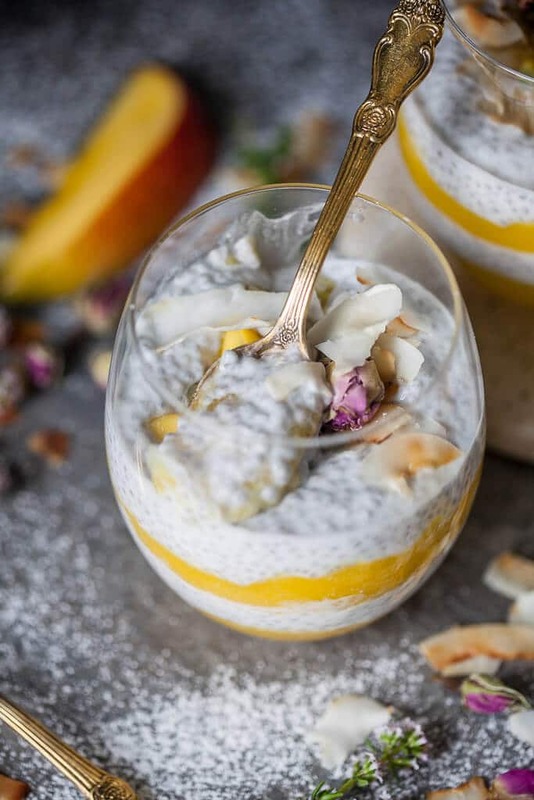 This Coconut Milk Chia Pudding is vegan and gluten-free with no added sugars. 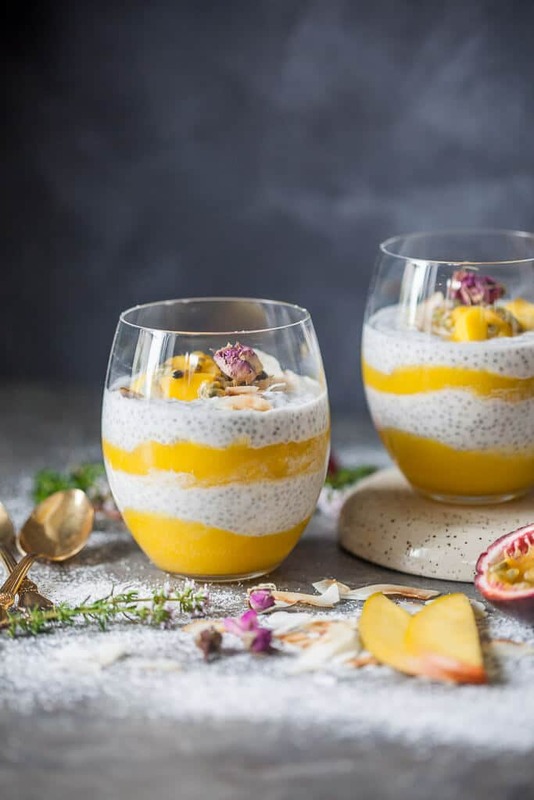 If you want to see more chia pudding recipes, I also have this delicious Chia Pudding with Berries and Blended Oats Recipe. 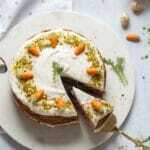 Dear Kristina, what a lovely and beautiful recipe. I already have a big stock of Lidl’s cocos milks. Thanks! Your pudding is looking wonderful. 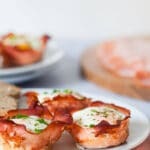 Time saving and easy recipe. I will definitely try it. Your dish is looking amazing. 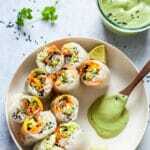 Please share some more blog posts for brownies or any vegan dish. Made this for friends for our Diwali dinner desert and everyone Loved it!!! 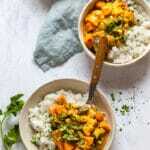 It is delicious and so easy to prepare. That’s so good to hear Laxmi! We are happy our dessert pleased everyone and that you had a great dinner! Lots of love! 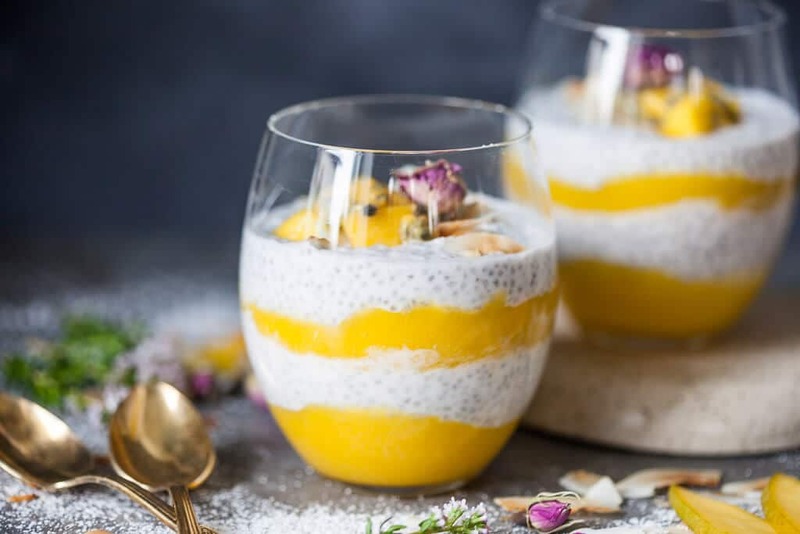 This is the prettiest chia pudding I have ever seen! Love love love! Hello! I was wondering do you use coconut milk from a 400ml can or from a 1litre cartoon? Not sure which one to get! Looks delicious by the way! Can’t wait to make it. Hi Lizzie! We used coconut milk from a can (400 ml)! You’ll want the creamy full fat coconut milk for this recipe.